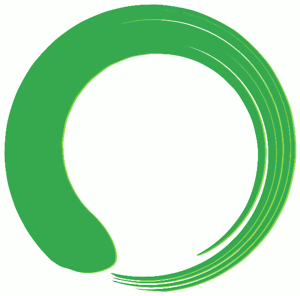 Come learn the basics of Zen Meditation and Zen Practice with Benjamin Mui Pumphrey, Sensei. Open to newcomers and experienced meditators! Bring a meditation cushion and mat if you have them. Chairs will be available; we have a limited number of extra meditation cushions. We will review seated meditation, walking meditation, and chanting. There is no charge for this event though donations to UUFW are appreciated, for use of their space. Please Note: We will not be meeting on Sunday February 17th. We will resume on Sunday February 24th at 7:30pm. Shenandoah Zen is a group of people who come together weekly for Zen meditation. We began meeting in 2015. We meet on Sundays from 7:30pm (promptly) until 9pm in the Unitarian Universalist Fellowship of Waynesboro religious education building (facing UUFW, this is the white house on the right) located at 565 Pine Street, Waynesboro VA 22980. Not too far from I-64, our Zen meditation group is accessible to those coming from Staunton VA, Crozet VA, Charlottesville VA, Lexington VA, Harrisonburg VA, and surrounding areas. ​We sit three silent 25-minute meditation rounds, with two silent 5-minute rounds of walking meditation. Please bring your own cushion (zafu) and meditation mat (zabuton) if you have them. If you are new to Zen meditation, please arrive about 15 minutes early for a brief introduction. Shenandoah Zen is organized by Benjamin Mui Pumphrey, Sensei, a Zen teacher who received Dharma Transmission in the White Plum lineage from Charles Shinkai Birx, Roshi. He began his Zen practice with Charles Shinkai Birx, Roshi, Ellen Jikai Birx, Roshi, and the New River Zen Community in 1996. This is a question that necessarily does not have any ready-made answer. Once started with Zen practice, it is a question that you should continue to ask. More conventionally, though, Zen is a contemplative school of Mahayana Buddhism that focuses on meditation as a principle practice for awakening. It spread east from India through Asian countries before reaching the western hemisphere. With each culture that it contacted, Zen developed into different flavors particular to each region, while preserving its core. We are currently witnessing, and are part of, the development of Zen in American modes. The styles of Zen practice you may encounter across this country are quite variable and local. The style of Zen practice through Shenandoah Zen is basic and accessible, with a strong focus on intensive meditation. Even though intellectual understanding is not a focus of Zen practice, it may be helpful to have some context for this work. Some good introductory books about Zen include: Healing Zen and Zen Mind Beginner's Mind. Some good introductory books about Buddhism include: What the Buddha Taught and The Heart of Buddha's Teaching. Zen may be practiced regardless of religious or spiritual affiliation (or lack thereof). There are Zen teachers who are also Sufi Sheiks, Christian Priests, and Jewish Rabbis. If you have a current religious or spiritual perspective, Zen practice may complement and deepen your understanding of your current faith tradition. This work is not about making anyone a better Buddhist. Buddhism in general, and Zen in particular, involve approaches and practices for helping us discover and live our lives as full, more intimate, human beings. To engage in Buddhist practice to become something or someone else --even a "Buddhist"-- is to miss the point. Fundamentally, there is not anything else that you need. There are, however, things that may help support your Zen meditation. Several helpful items include a meditation cushion, a meditation mat, and some protected time and space for meditation every day. Of these three, time and space for daily meditation are the most important. If you do not have, or want, a meditation cushion and mat set, that is completely fine; any chair or firm pillow will work. If you wish to purchase a meditation cushion (a zafu) and a meditation cushion (a zabuton), some good websites to visit are Zen Works (through Zen Community of Oregon), Carolina Morning, Samadhi Cushions, and Dharma Crafts. If you do not yet have a meditation cushion, you may want to try one filled with buckwheat hulls, rather than kapok filling, first. Zen meditation is in part a personal practice but it also helps a great deal to sit with the support of a meditation group. Does Zen Meditation Involve Risk? The potential for risks or adverse effects of intensive meditation is a topic that is not discussed as much as it should be. Every person is different and each person's physical and psychological tolerance for deep meditation and the shifting physical and mental states that it may provoke need to be considered carefully. If you have any acute or chronic medical concern, especially of a cardiovascular or neurological variety, please speak with your primary care provider and/or specialist to determine if intensive meditation is safe for you. If you have any acute or chronic psychological or psychiatric difficulty, please discuss with your mental health provider whether or not intensive meditation is appropriate and safe for you. You may not want to begin any meditative practice, Zen or otherwise, without having these conversations. If you are a current patient of Ben Pumphrey's through his clinical psychiatry work and want to begin Zen meditation, that will require conversation with him to determine the best course of action for you as he does not supervise Zen practice of current or former patients. Engaging in Zen practice with Shenandoah Zen neither creates nor implies a clinical treatment relationship with Ben Pumphrey. Nothing said in the context of Shenandoah Zen or outside of Ben Pumphrey's psychiatry office is a clinical recommendation or represents clinical advice. Zen is not psychotherapy or a clinical treatment of any kind. There are other area Zen practice groups you may want to consider, should you be a current or former patient of Ben Pumphrey's or if there is another barrier to practice with Shenandoah Zen.